Luxurious liveaboard but still at very affordable prices. 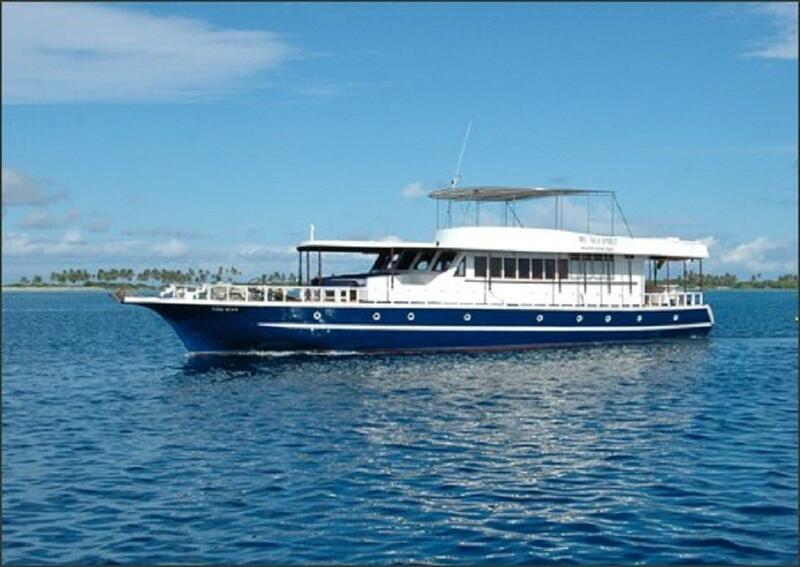 Extensive range of itineraries, sailing all around the stunning atolls in the north and in the south. Photographers will be delighted by the facilities on board, with ample storage and recharging points in the saloon. Great care has been taken during planning, design, and outfitting of the vessel to minimize potential safety hazards. The 4 Double/Twin Cabin are roomy cabins with a full size double bed and full size single bed all on one level. The cabins have individually controlled air-conditioning, a large wall-mounted fan, port hole, reading light at the head of each bed, hanging wardrobe and under-bed storage. Bathrooms are en-suite with hot water shower. 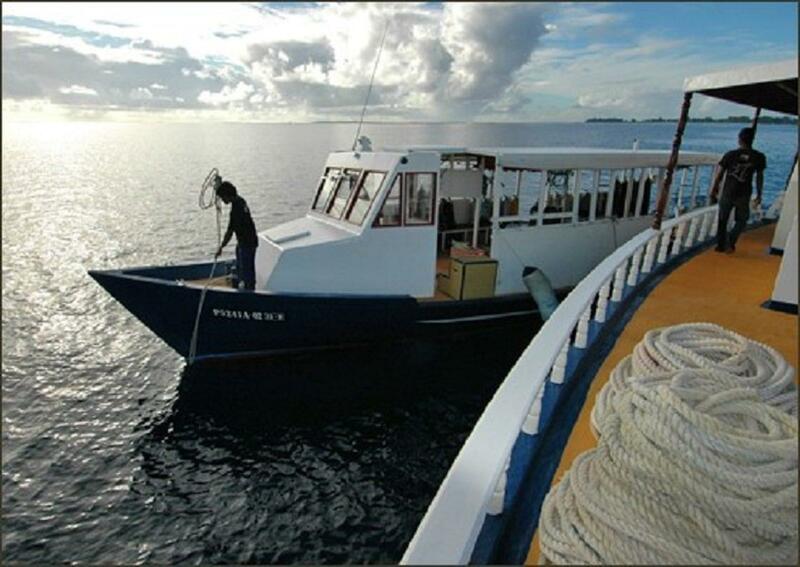 The M/V Blue Spirit is a spacious, comfortable and traditional Maldivian diving liveaboard - a true divers' liveaboard. Her wooden hull has been specifically designed to optimize sailing through the waters of the Maldives, while her interior has been fitted out to heighten comfort and relaxation for guests aboard. The M/V Blue Spirit offers comfortable accommodation together with the highest standards of service. Her shallow draft gives the possibility to moor in smaller and quieter lagoons which are inaccessible to larger vessels. M/V Blue Spirit caters just 12 divers and offers six en-suite and fully air-conditioned cabins. Cabins include two double berth and four double/twin berth with sumptuous fitted interiors. 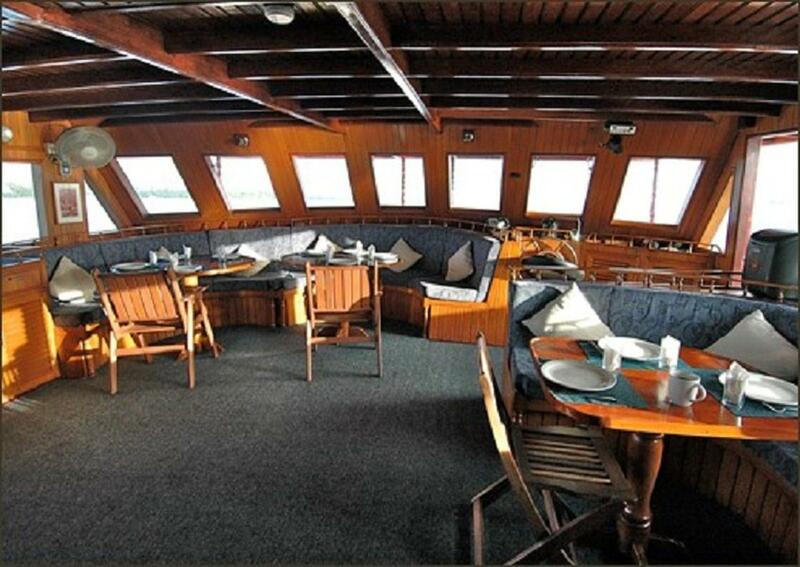 On the main deck there is a large saloon which has a large seating and table area for dining and relaxation. The saloon is equipped with a multi-system VHS video recorder with 14 inch AV monitor for underwater video enthusiasts and a music centre with CD player and tape deck. In addition to a DVD collection, the on board library includes marine identification books and novels, short stories, and poetry to provide entertainment in the form of easily read books! WiFi is available for a small charge. For photographers, the saloon has ample storage for cameras and recharging points. E6 processing is available on board. 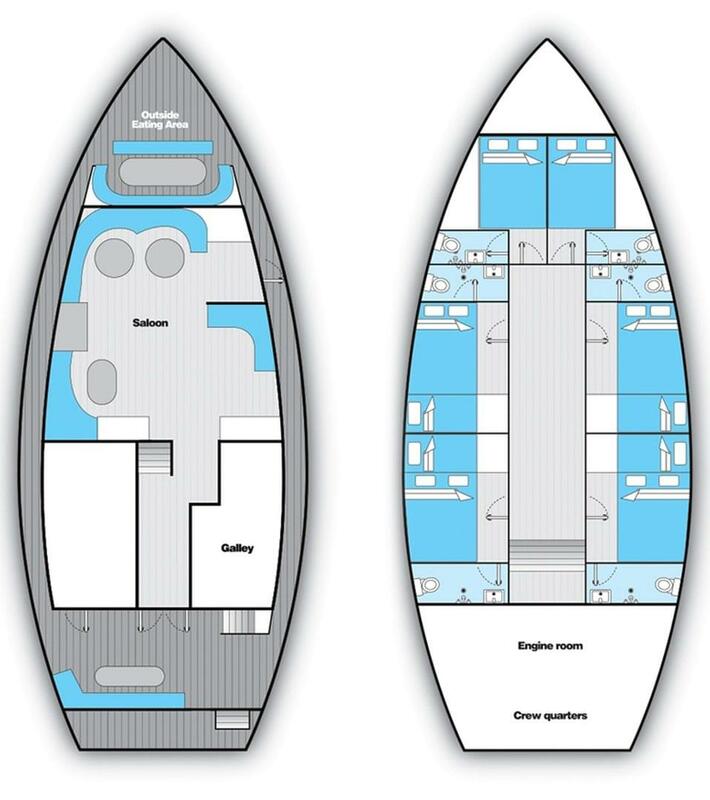 The foredeck of Blue Spirit is partially shaded and offers an ideal place for guests to relax between dives. 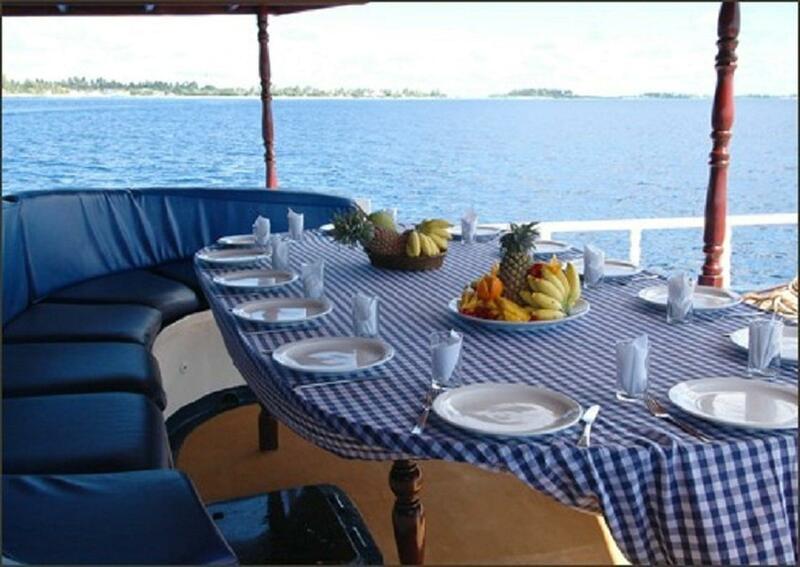 Meals are generally served at a table outside to the aft of the boat so that guests can enjoy the wonderful beauty of the Maldives. The fantastic Sri Lankan chef who has been with M/V Blue Spirit for over 15 years serves a mouth-watering mixture of local and Western cuisines. Tea, coffee and soft drinks are available throughout the day and night. 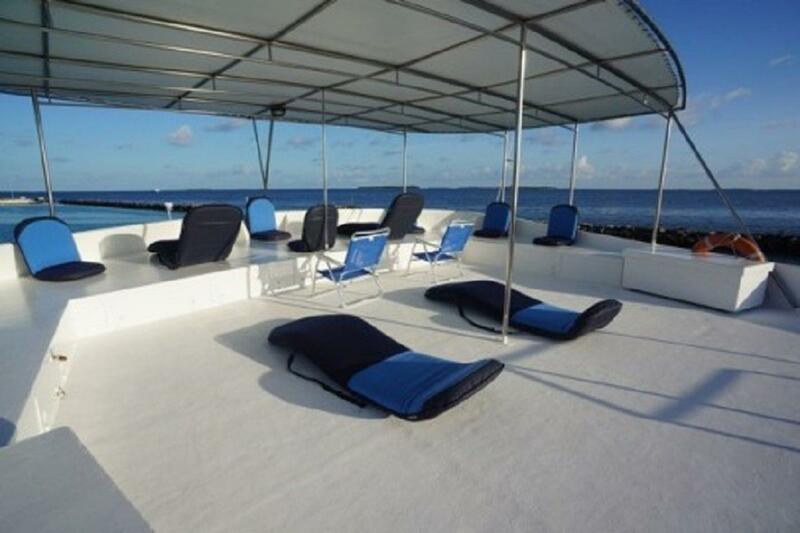 There are steps from the foredeck that lead up to the sundeck - a great place to watch the sun setting or the superb views of the Indian Ocean. On the aft deck there is a swim platform with ladder giving easy access to the water. There is a fresh water shower and camera rinse. There is a 24 hour supply of 220 volt AC electricity on board and an emergency 12 volt DC lighting circuit. Power is supplied by two soundproofed generators. 110V convertors are available. MV Blue Spirit has a Sea & Sea MX10 35mm camera with flash available for rental. Videos are produced by the dive staff and include wonderful underwater footage of your dives - these videos are available for sale at the end of the trip. MV Blue Spirit is equipped with a water maker with a capacity for producing three tonnes of water per day. There is plenty of water for use throughout the day and night. There is a good variety of both local and European dishes. If guests are vegetarian or have special dietary needs, we will, of course, do our best to cater for them. 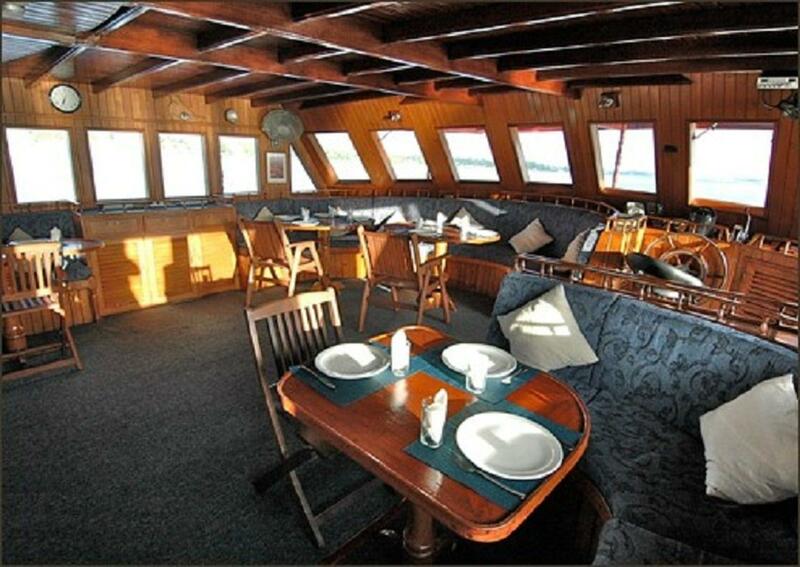 Breakfast and lunch are normally served buffet style and dinner is generally served seated around the large table on the foredeck. 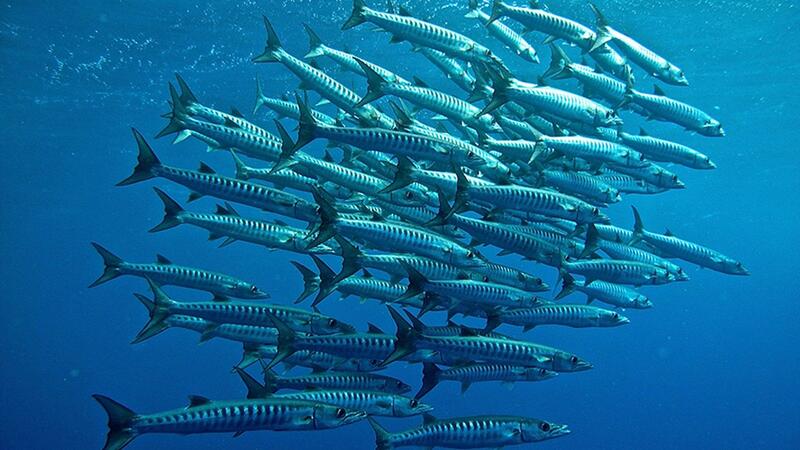 Discover Maldives diving paradise out of the ordinary, and at reasonable prices as well!